Following extensive blind tastings of sparkling rosés around the world, we bring you ten of the best examples from under £15 to over £200. Sparkling pink wine may not have a hugely sophisticated image, but that doesn’t meet that fizzy rosés can’t be high-quality, complex and age-worthy drinks, and, over the following pages we have picked out some outstanding specimens from a range of origins and price points. 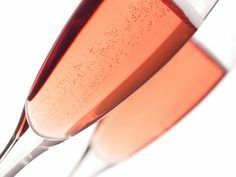 Covering wines from Italy, France, New Zealand and England, these fizzy pinks prove that it’s not just Champagne that makes first-rate sparkling rosé, although this famous French wine region still makes the ultimate example in this growing category – Champagne is the leader in terms of price and quality. All the wines in the following list are Brut or drier in style, which means that they contain less than 12 grams per litre of sugar, and every one has been made by the traditional method, meaning that the second fermentation – which provides the wine with its fizz – is carried out in the bottle (as opposed to a tank, or injected). The sparkling rosés featured below have all been selected “blind” by a selection of experienced judges in The Drinks Business Rosé, Sparkling and Champagne Masters, a set of competitions that see wines assessed by style, price and quality. The samples were scored out of 100, discussed, and then awarded medals from Bronze to Gold, or, indeed, the ultimate accolade of Master, which is given only to those wines deemed exceptional by the judges. Over the following pages we have listed the top 10 best performing rosés across these tastings – those wines that gained a Gold medal or above. If you want to read more about the Masters wine competitions, click here. not one rose from Spain. What a shame. You guys really don’t know what your doing. I am with Karen’s comment above… Not one Sparkling Rose from California, either?? ?